I really like the theming of the drop tower! 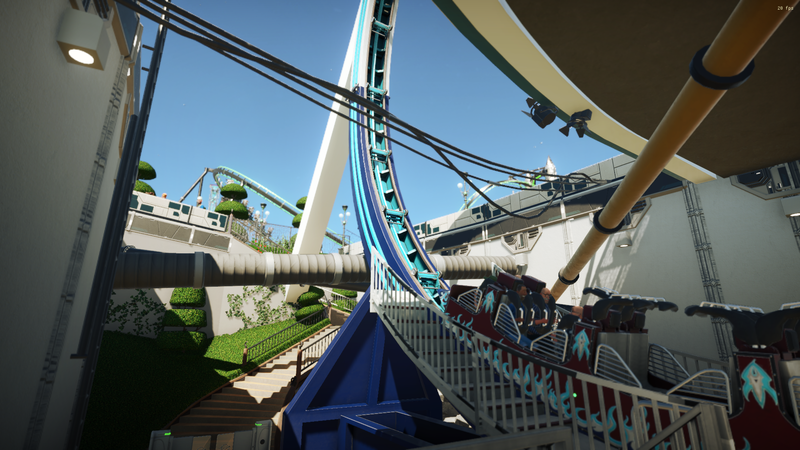 Hello fellow Planet Coaster Lovers and welcome back to Society Park. I have a little surpirse for you guys. 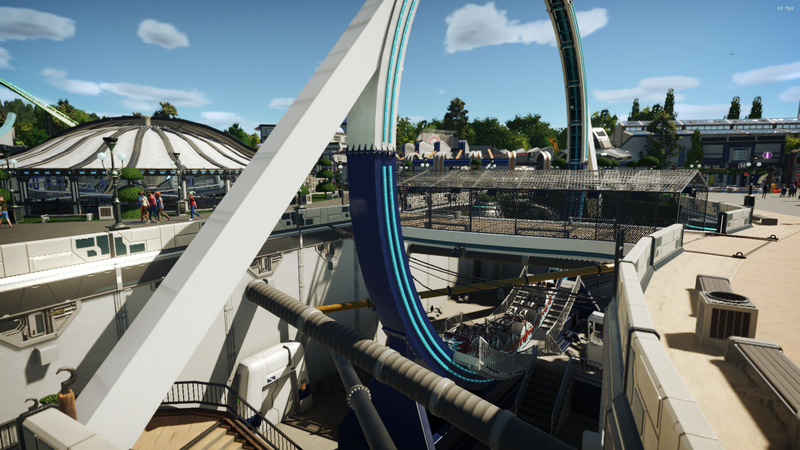 Society Park is proud to anounce that there has been another coaster added to the park. 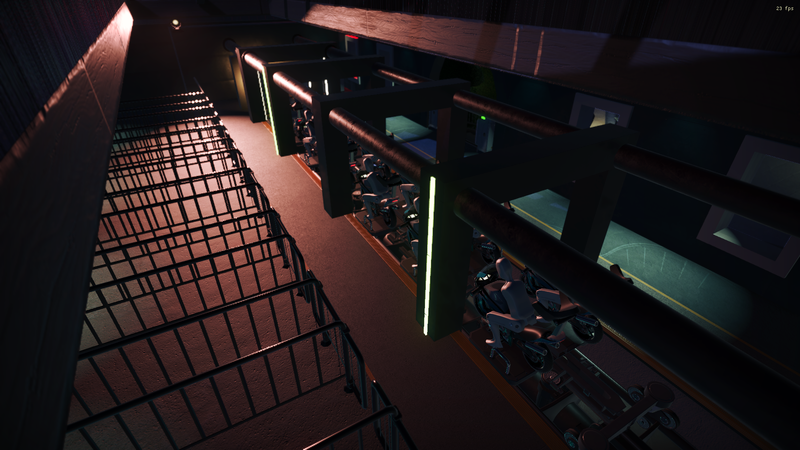 It's a launched motorbike darkride at the backside of the monorail station in the Technological Area. Yup, I was able to squeeze something in that small space. The pictures that I've got are all inside the main building. Exterior looks will follow when it's complete, most likely in the next update. Wow very cool! 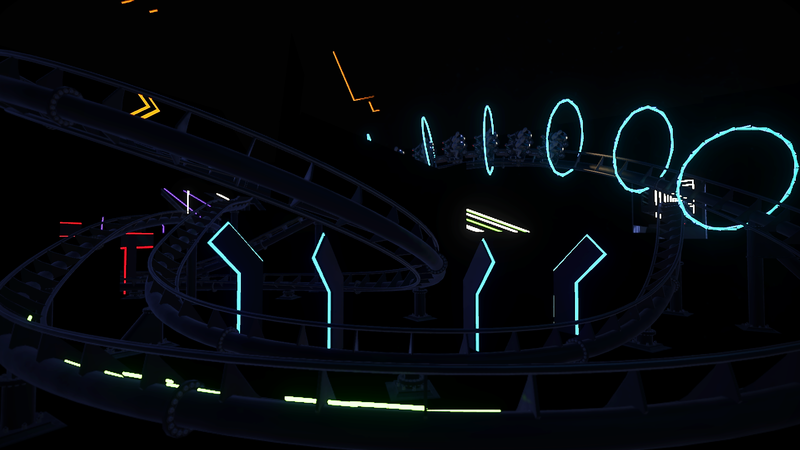 Reminds me of tron! 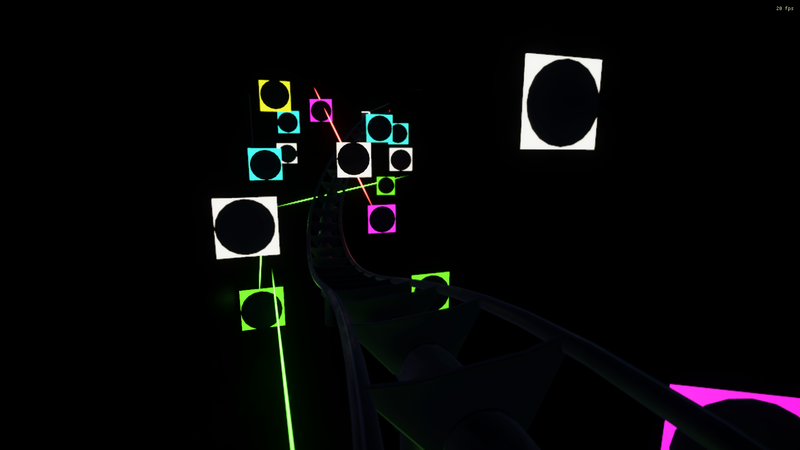 Amazing, this is so inspiring to create a dark ride with Neon effects! 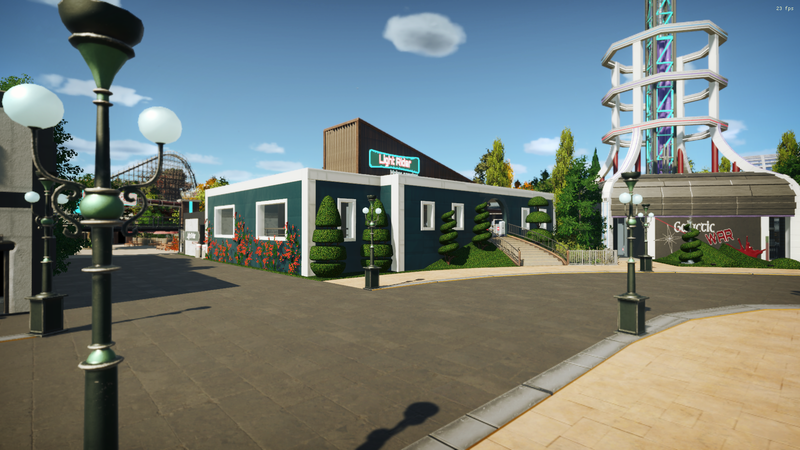 Hello fellow Planet Coaster Lovers and welcome to another update of Society Park. 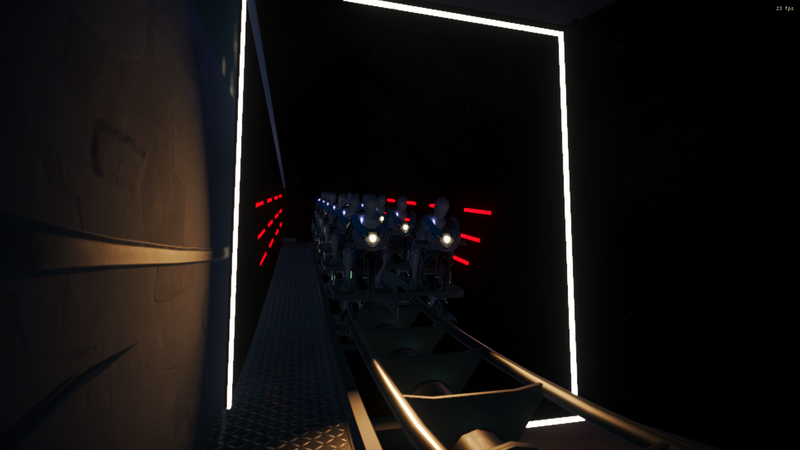 Last week we started by theming the newest coaster Light Racer. 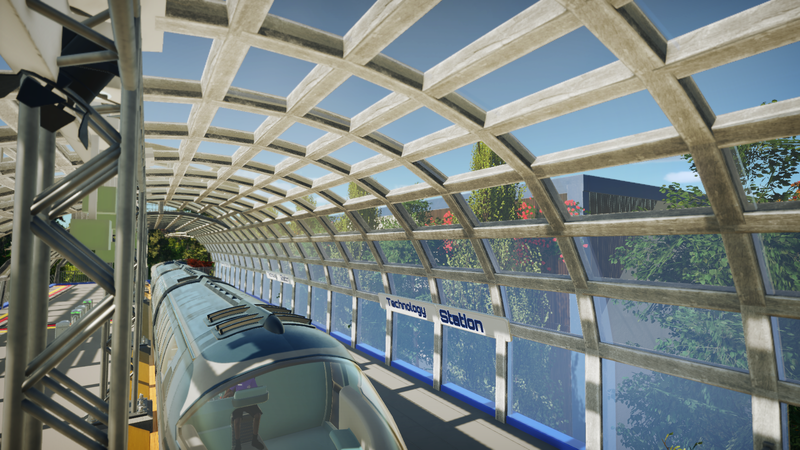 This week we'll actually finish it with the parks ugliest station. I don't think the station is ugly. It has the same tastefully restrained style as the rest of the park and looks quite good. But as a result, it's very misleading, showing no sign of the madness inside. If that's the effect you want, then great. But if you'd prefer to make the outside hint at the inside, while still keeping it subdued, you might experiment with some subtle color changes. For example, repaint the walls a gray shade similar to, but not the same as, the Galactic War queue next door. Then do the white trim pieces in semi-pastel shades of the bright neon colors inside. Maybe leave the window frames white (or make them a light gray or even yellow), do the eave trim in a light green or purple, and the vertical corner trim in a light blue similar to that of the drop tower in the background. That sort of thing. Just a suggestion. Well guys here we are.. the final update of Society Park. After 1,5 years and 65 episodes this mega park is finally a wrap. It's kind of a bitter sweet feeling for me cause I really enjoyed this park and learned a lot. Lessons that I'll take with me for my next park (yup you read that right). But nevertheless there a still some things to look forward to. The Release! As I mentioned I will release everything when it is completly finished. 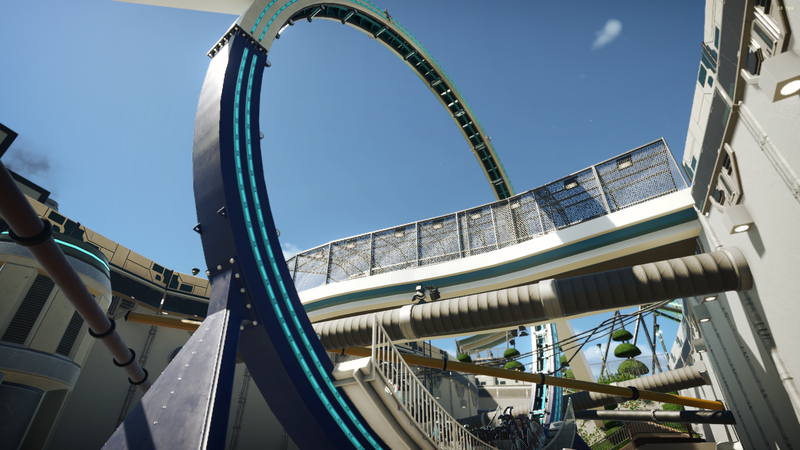 But I'll first record everything and with the recordings I'll release bits and pieces (some coasters and rides are blueprinted ). Thank you guys again and enjoy the last episode! That semi-submerged Hellion Ring is genius! I really like how that looks! At first, I thought it was just a monumental archway, and it actually functions as such. I love it! Anyway, time for the popping of champagne! Cheers! And thanks for showing off this great park. I've really enjoyed watching it develop over time and have stolen many of your ideas . I look forward to the final wrap-up and ultimate release. 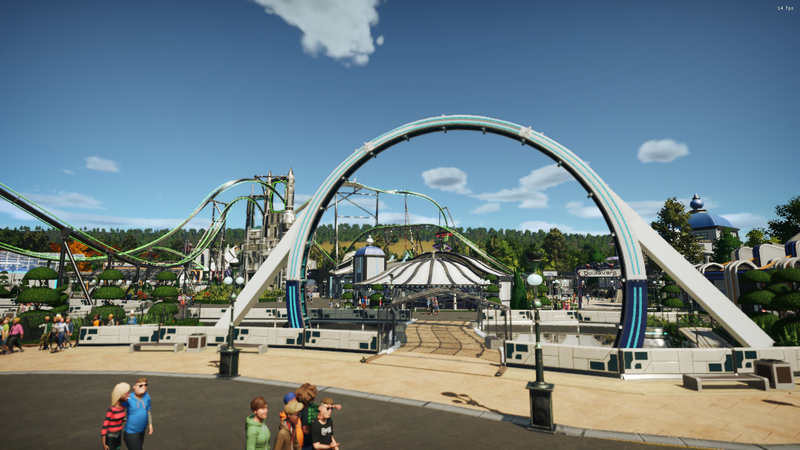 this is a great park - I love when full parks like this are created. Can't wait to see what you have in store for us in the future. Though I'm tuning in for the first time, seeing the park just finished, I'll do my best to read up. I certainly like what I've seen so far! 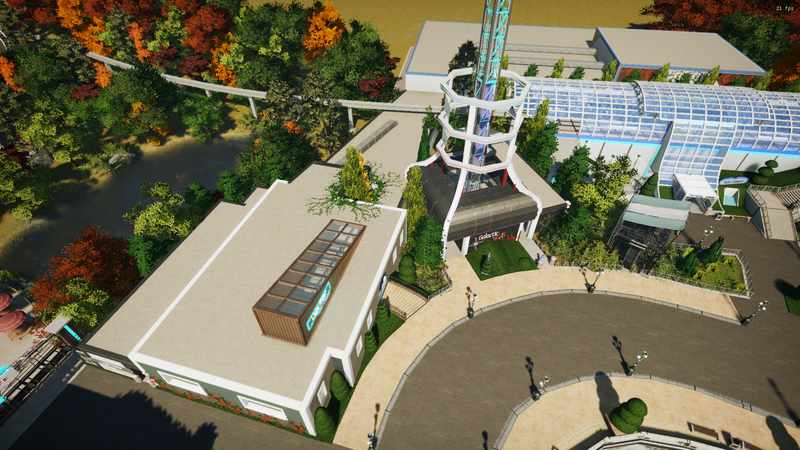 Well let me just reveal a little bit of what is to come... Another (smaller) theme park. 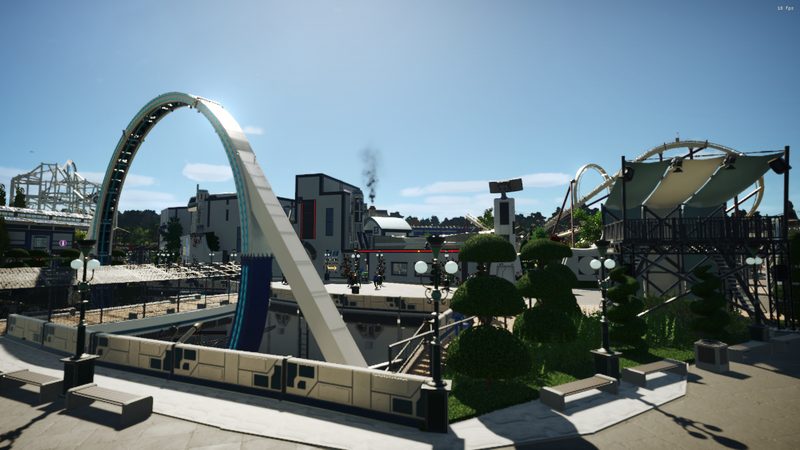 Even though there aren't any updates on Society Park anymore there is still some progress. 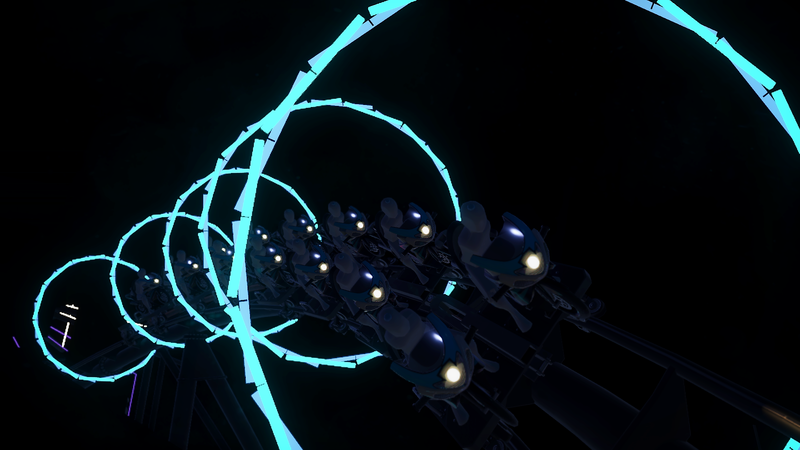 Which ride would you like to ride first? Beautiful job! When are you releasing the park file itself? It's a very exciting trailer. I can't wait to see the final version. Wow, this truly is an incredible park and a very impressive trailer -- nice job syncing up your scene changes to the music, it worked beautifully. This park has an amazing layout, that you see both in the video and the map above. 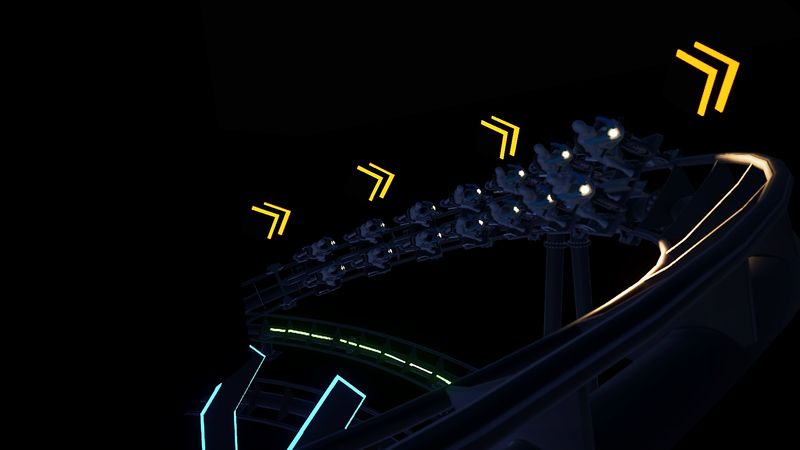 The rainbow lighting on that coaster (I know, I need to scroll back through to catch up on the coaster names) is just magnificent. I get how the horizontal tracking shot is done, I've done a few of those, but the slow pan straight into the air (without any jittery hand movements) is something I must know how to do! 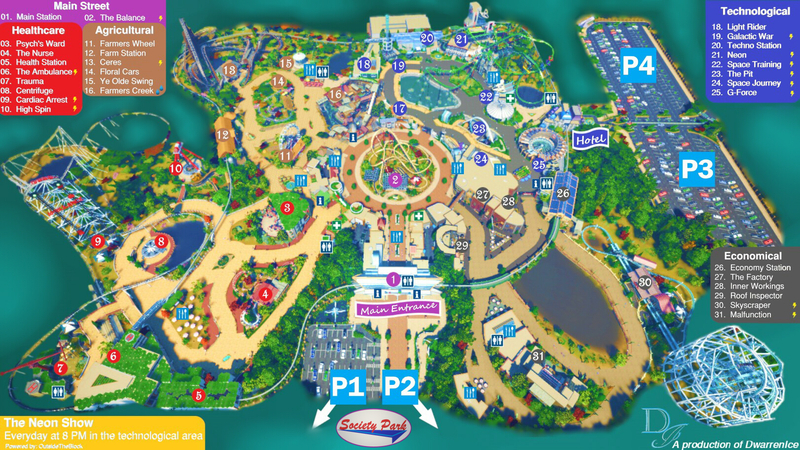 Also, on that park map, I assume you took a photo of the park and modified it, but what kind of editing did you have to do to give it that cartoon-like park map quality? One sub from here (when time has come). Just saw your trailer in my YouTube recommendations, very curious! Thank you! 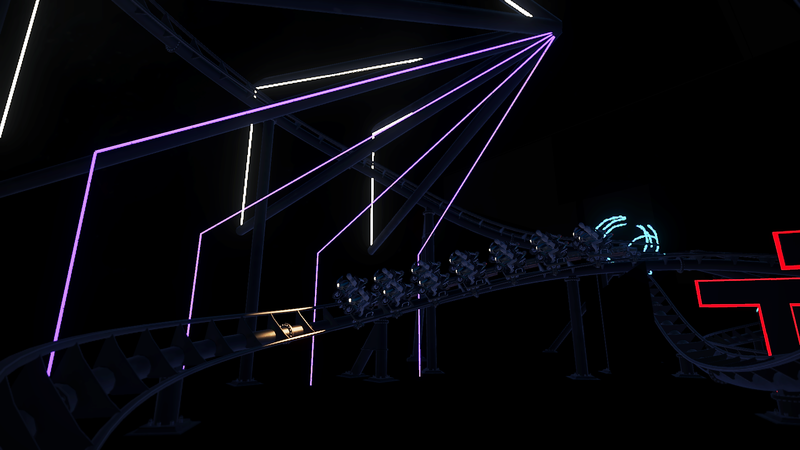 can't take credit for the rainbow coaster (Neon), I built it but the show lighting up the entire coaster has been made by OutsideTheBlock who, as you can see, did an amazing job creating a lighting show. Absolutely beautiful! Can't wait for the final version ^^, ! 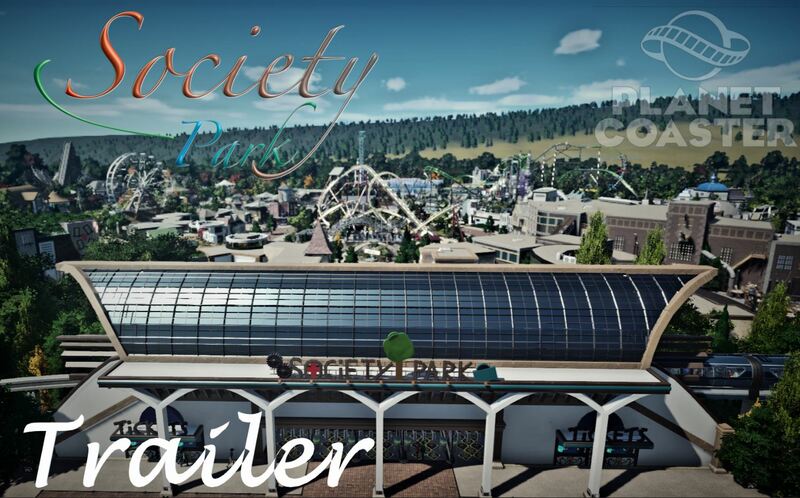 You're all invited in #SocietyPark on Sunday March 10th 3pm (GMT +1/ CET). The staff will take you on our tour amongst the highlights of the park and the thrills it has to offer. I like how the lighting on the structures echoes the colors of the fireworks.